The Farmer’s Market has a great selection of Cheese also. If you haven’t visited the local farmer’s market here in Cedar Springs, you’ve been missing out! 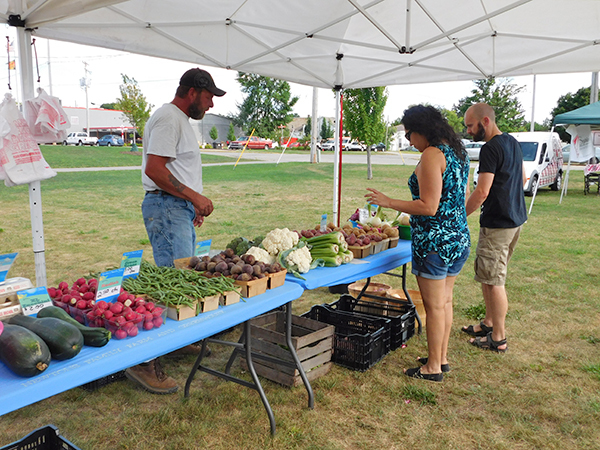 The farmer’s market, held on Thursdays from 3-7 p.m. behind the Cedar Springs Library on W. Maple Street, has an assortment of items to please the palate, and samples to try before you buy. 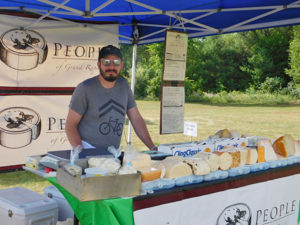 At last week’s market there was a wide variety of locally grown vegetables; farm fresh eggs; homemade breads; delicious baked goods; tasty jerky; delectable cheeses; popsicles made from fresh fruits; and more. Most of the vendors take cash, credit, or debit. Do yourself a favor and shop local this week at the Cedar Springs Farmer’s Market, managed by Cedar Springs Brewing Company. You won’t be sorry!